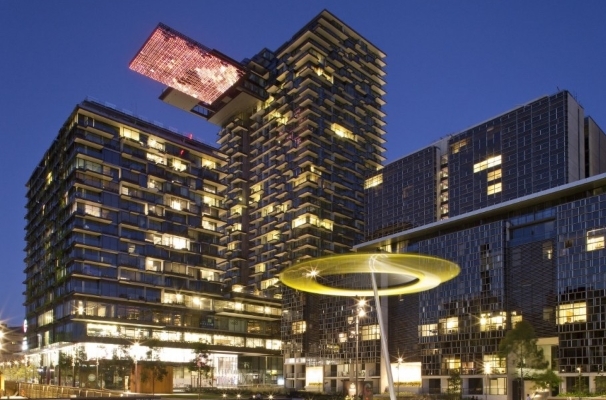 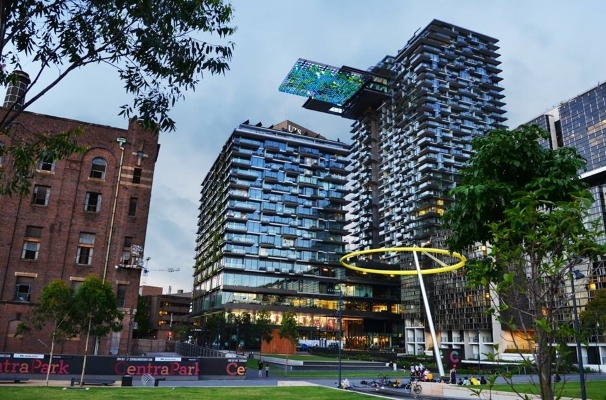 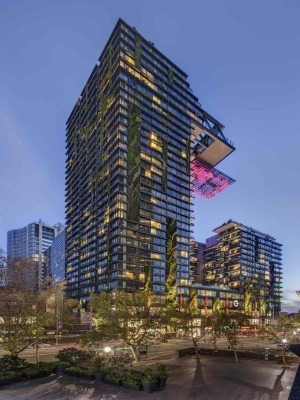 Public art project ‘Sea Mirror’ was conceived by Yann Kersale as part of the original architectural concept for the Jean Nouvel designed One Central Park in Chippendale, Sydney. 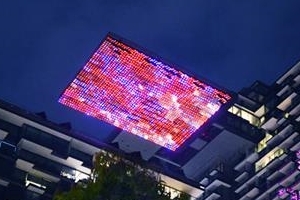 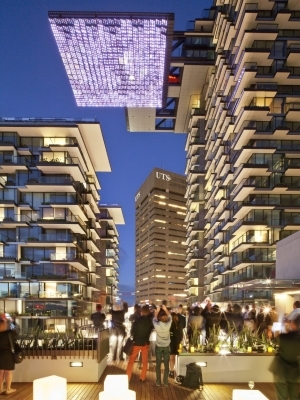 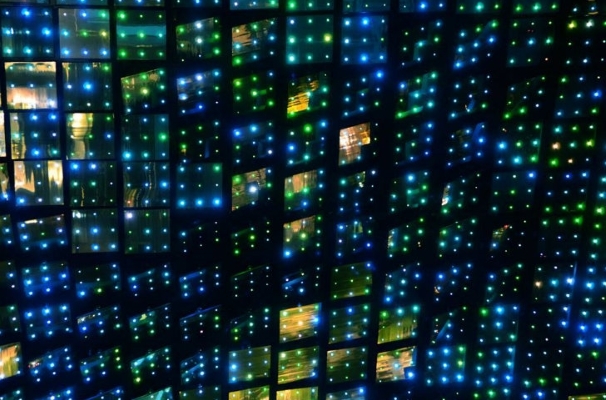 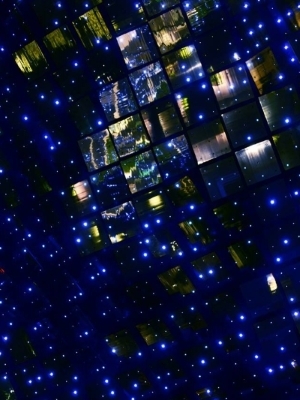 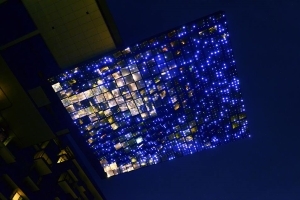 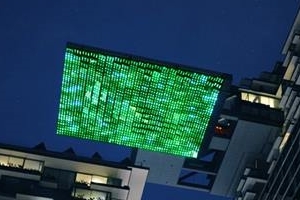 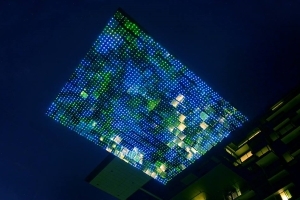 The piece is made out of 2880 coloured, programmable LED lights, which sit within 320 mirrored panels that are fixed to a heliostat – a device that directs sunlight from the property’s west tower into the retail atrium and landscaped plaza below. 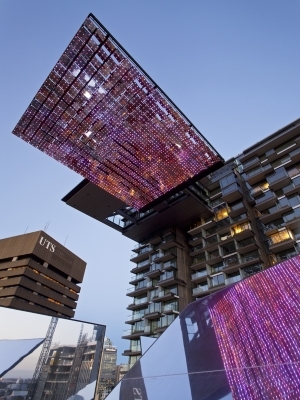 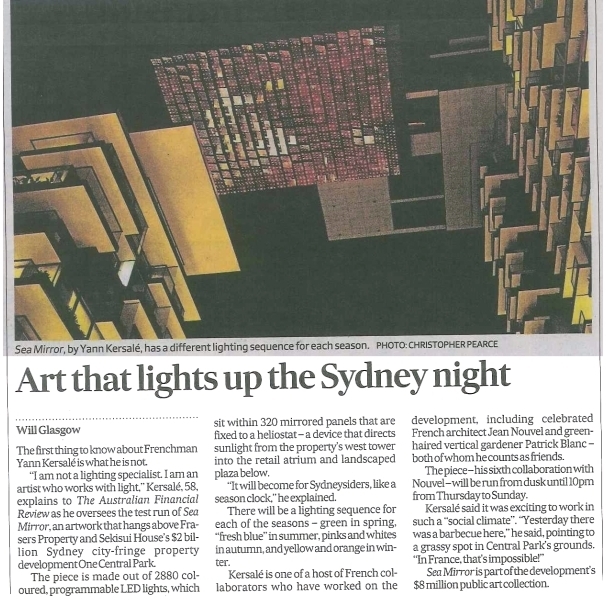 Hanging off the building, the artwork is designed to capture the changing colours of Sydney Harbour. 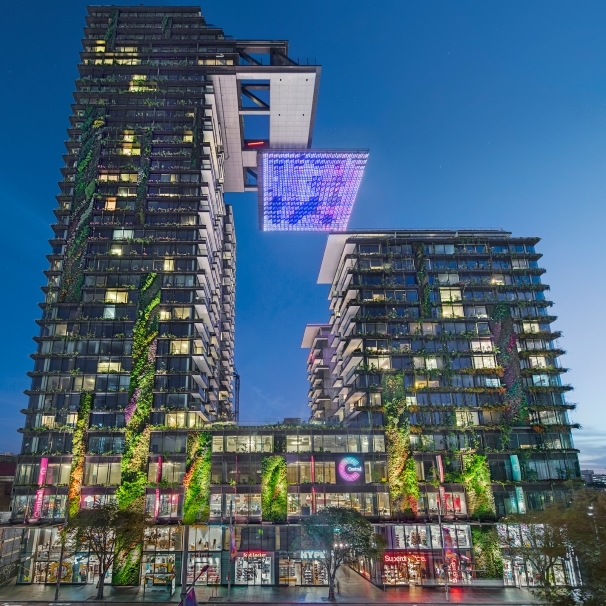 By day the bold architectural structure reflects daylight into the retail mall below; and by night there will be a lighting sequence for each of the seasons – green in spring, fresh blue in summer, pinks and whites in autumn, and yellow and orange in winter.